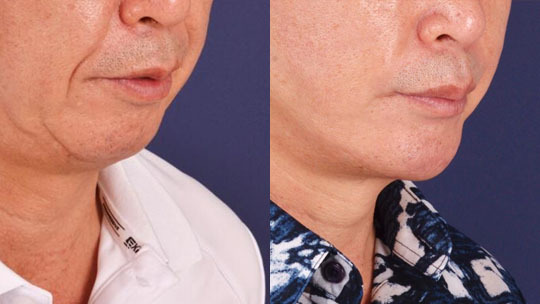 It is hard to treat mouth line wrinkles. It is the most wanted part for anti-aging treatment. But unfortunately it is very hard to be corrected. Because this is not wrinkles it is depressed part which has been there originally. Even young people has mouth line, it shouldn’t be misunderstood as wrinkles. 03.Peri nasal implant : Silicon or Goretex implant on side of nose. for mouth lines. But when subnasal point is depressed mouth lines appears as well. Subnasal projection gives mild progress with mouth line. 05.Face lift : Mouth line can not be corrected with face lift alone. 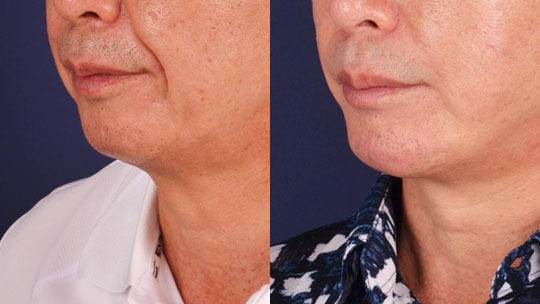 But when it is performed with fat grafting some improvement can be expected. Please keep it mind that there are many other parts of the face still can be improved with treatment or surgery.